It is hard to bring the mindset of survival to the people who have not experienced a hard situation of at least some kind of survival event. Over the many years of being connected with people who are into survival, I realize there are the same topics for discussion and people actually become fixated on those topics. Inside those topics over the years “rules” are set and it is hard to change them. Opinions are formed and if you jump in with a different opinion, you are going to be ridiculed. The survival community has turned in into a parody of itself. Something that should be free from the mainstream has turned into a very mainstream thing. We are living in a society where we want it and we want it now, and what is most important we want it the easy way without effort and sweat. This is true for the survival community, too. That is the way survival myths (and mistakes) are born. 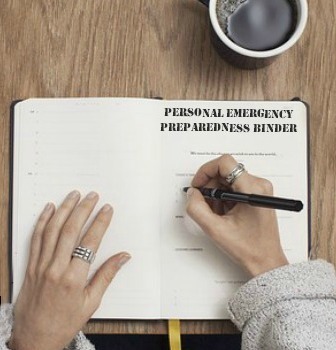 Here are the 5 biggest mistakes that preppers make. Mistakes that can get them killed. Because of tons of information, we are being “funneled” into forming opinions about survival and especially about the reasons of possible bad events in future, possible SHTF situations, collapses or whatever you call it. So we have preppers who are getting ready for an EMP, or an economic collapse, or an immigrant crisis, or a war, or simply a bad weather event. In essence, there is nothing wrong with it, except some people stick so hard to one imagined” possible scenario that they do complete planning based on that scenario only. As a result, if that scenario happens they could be good, but if any other scenario happens they are in deep trouble. There are numerous reasons, possible scenarios, and outcomes. We do not have a clue what exactly might happen. The disruption of society that leads to the system not working properly (or collapsing completely) which leads to a situation where people “sharing ” resources in a different way. And that way includes violence. In other words, if you are preparing for a serious storm event, and you forget the possibility that after a really serious weather event (loss of electricity, floods, contamination) and prolonged time, violence simply has to be a factor, you are missing the point. It does not have to be civil war. As the opposite of the above-mentioned, if you are preparing for a really tough time, like for a full outbreak of violence (Mad Max style) there is a danger that in the tons of information and equipment that includes weapons, martial arts, and similar. you simply forget the basics. In this region, where it is still fragile and always close to rioting, turmoil and where word war is never too far, whenever there is some disruption (news about possible riots or riots on streets) the first thing that most people are checking and getting prepared is not their stash of weapons (and every house has that, a lot). On even the smallest disruption here, people get up and fill the bathtub and water containers. Because it is one of the basic and usually the most needed thing. And one of the first things that are gonna go away if something happens. You can not live too long without it, we know that from experience. You can never have enough water. It is one example, but the point is that you can not go into the “high end” if you did not cover the basics. Not covering the basics will get you dead long before you reach the need to use high-end equipment and plans. At the same time, that person could not start a fire in a field in the middle of the woods during perfect weather with a lighter. His level of fitness was so good that after one night in an abandoned building (sleeping on the floor, with a sleeping mat) and one day of walking he was unable to continue at all. He failed in map reading, water collecting, fire making…he did not see that as a important. He did not see that as a big problems in his prepping philosophy. All he was interested in was how to run from the helicopter that will chase him (with modern seeking devices). First, nothing is wrong with the fact that his performances and knowledge were low, as long as he realizes the importance of that. (He did not). Nothing worries him in basic things. But being chased by a helicopter simply sounds cool to him. He wants to be prepared for that. 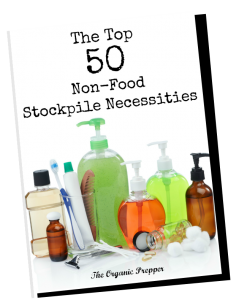 He chooses (like a lot of preppers) to prepare “from the end,” not from the beginning. He chose to prepare for what looks cool to him, not what is likely. He forgets the basics. And second thing is that he does not realize very probable fact that if he is going to be so important (good or bad) , so not “gray” that a helicopter with sophisticated equipment must chase him, he is missing something in the prepping philosophy. He is probably dead anyway. Often the best thing in order not to be found is not to give reason to be looked for, not to be interesting. Blend in. A helicopter chase is not so probable. A bad rash because of poor hygiene or pests in your food are more probable issues. But they are not cool topics to prepare for, right? I am not some violence expert. I do know some judo, and I know how to operate with several different weapons in a real situation. From handgun to mine thrower. There are no real violence experts as you imagine it because it is personal. There are people who can teach you techniques, skills, and how to use it efficient way. They may be experts in teaching, which is different. How you are gonna use it in real life SHTF is a completely different thing. You do not have clue how it is gonna be until you find yourself in that situation. And based on my experience it is different from imagined. One thing is for sure, SHTF violence is a combination of a lot of things. Pressure, both physical and mental. And you will test your “violence skills” under different circumstances. There are good reasons why war veterans are not so happy to tell stories that are let us say “most interesting” when it comes to violence. It is intense and confusing. And real. The best advice here that you need to train your “violence skills” while you are under pressure. You must push your self to the limits and learn to operate as best as possible in those conditions. I remember a man, my friend from peacetime, who shot another guy, a prisoner. He shot him in the face from a close distance. An unarmed man. And that was it. I was looking at him, I thought I knew him but obviously, I did not. I thought he was “normal” (whatever that mean), a normal guy. He worked before all that in a travel agency. An average guy, a bit shy with girls. But I did not know him actually. People talk about the end of the world, complete chaos and disorder. And then they say something like. “Oh, it is not gonna be like that. It cannot be like that because it is wrong, not fair…” or similar. You cannot prepare for very bad times and while preparing for it still think in terms of normal times. In normal times, people are neighbours, teachers, truck drivers. They say hello to you because they know you. The system is working and holding things together, including most of the people. When the system goes out (seriously goes out) people are a possible threat until you rule out differently. It is like that because sooner or later, people realize there are not enough resources for all of us. And then real “fun” starts. You do not know what kind of people are around you before times gets real hard. You can see a glimpse of that in football rioting, or during Black Friday sales, or in gang wars sometimes. It can happen anywhere, no matter how many people are there (per square mile) or how well-armed you are, or how modern your society is or how democratic your country is or how many rights you have. I am sorry, but the more modern your society is, the worse it will be. The fall is going to be bigger and longer if something serious happens, and people are going to have a harder time adapting to the new reality. You can learn more about Selco at his website, SHTFschool.com. Check out his online courses and physical courses for a reality check about SHTF scenarios.